There’s an “itch” that attacks many relationships at various points and sometimes (either consciously or consciously) one or both partners feel the urge to “look around” at other people while still in a committed relationship. This “itch” is so strong in some people that it causes their partner or spouse to start to ask themselves whether they should stay in or leave the relationship or marriage. This is one of the big questions men and women want the answer to when they get our “Should You Stay or Should You Go?” program. When you or your partner feel the urge to “look around” at other people and outside the relationship? The “itch” can happen in any year and in any committed relationship but the most popular times are the 1st year, 7th year, 15th year and 25th year. But we’re certain the “itch” been going on a lot longer than when that movie came out. So what happens when the “itch” attacks and you’re in a committed, monogamous relationship and want to keep it that way? What do you do to soothe whatever’s going on and recapture the spark and keep your love alive between the two of you? spark seems to have gone out in part because you’re both just too exhausted for intimacy. *It might be after years of being together, you’re both going in different directions, you have very different priorities and you don’t feel important to one another anymore. Are these stages inevitable in a committed relationship and does every person feel the “itch” at some point? Of course not, but if it does start happening to you or your partner, it’s important to not panic but to be proactive, taking some action to get closer and more connected. 1. Make time for self-care AND recognize the “stories” that you’re making up. 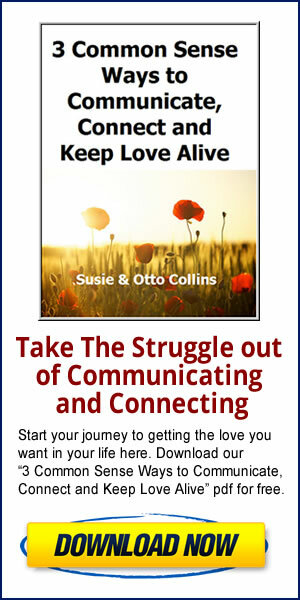 Often when either you or your partner has pulled away from the relationship–and you realize it’s happening, panic causes you to focus on THE relationship and nothing else–and make up a lot of stories that you really don’t know are true. That is the time to love yourself and remind yourself not to jump to worst case scenarios that you fear could happen in the future. 2. Gather the courage to discuss your life goals, career, family, money, the “itch” or other topics you may have been skirting around. 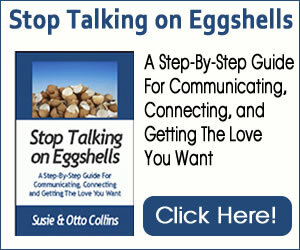 Encourage honesty by really listening to first what’s inside you and to your partner. Don’t get defensive. Find out what’s real, get that out in the open so you both can address it. After many years of marriage, one man we know got the itch for another woman and instead of moving forward to acting on it, he discovered that he had lost passion for his work. After talking with his wife, he decided to take a different, more exciting direction for his work experience. 4. Make your time together–however limited–meaningful and connecting. Go out together and discover a new interest that can pull you closer. One couple we know after the “itch” hit them, started taking dancing lessons together–something that they both enjoyed but never gave the time to before. Don’t just go through the motions when you’re together–open your heart to each other and connect. The relationship itch doesn’t have to ruin a committed relationship. It can just be a wake-up call and a sign to decide what your priorities are in life. And then you can begin acting in ways that express those priorities. 5. Rebuild trust if it’s has been broken. it the highest priority in your relationship and life.